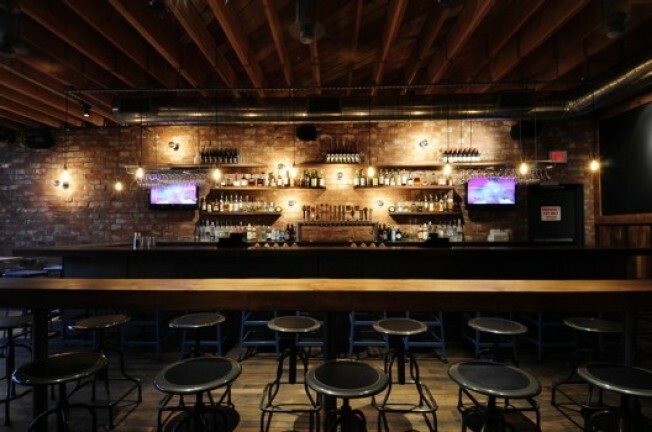 This pretty little number is the Laurel Tavern, the new Valley gastropub that opens today. It takes over the Sapphire spot, still owned by Will Shamlian and Mark Leddy, but now it's all reclaimed wood, exposed brick, Edison light fixtures, and windows that open wide to the street. As one commenter put when we tipped you off last week, it sounds like the York, Village Idiot and the Other Room all rolled into one, but that's kind of OK considering Studio City doesn't have anything like those. The menu is short and sweet: burger with hickory sauce and caramelized onions, pork belly skewers, chorizo fondue (if this sounds similar to the Library Bar's new menu downtown, it's the same chef, same owner). The kitchen is only open until 11pm nightly, but a full bar, 16 beers on tap, and wines should round things out.